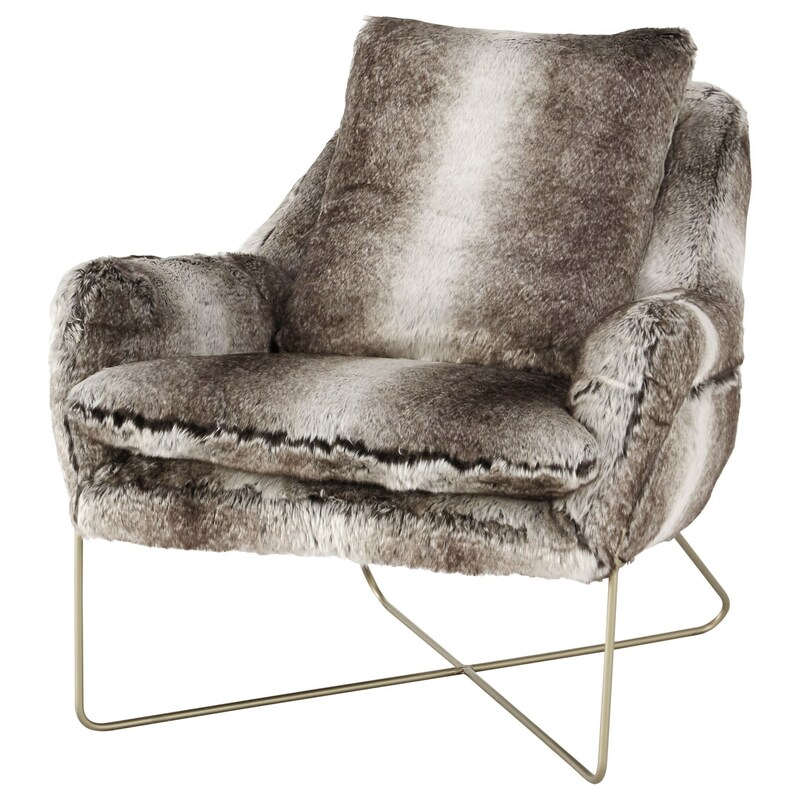 This faux fur accent chair will immediately create a glamorous feel in your home, thanks to the fully upholstered faux fur body and gold finished metal X-base. The varying shades of gray give this piece an added warmth, while the flared arms and attached back pillow offer undeniable comfort. The Wildau Faux Fur Accent Chair with Gold Finished X Base by Signature Design by Ashley at Value City Furniture in the New Jersey, NJ, Staten Island, Hoboken area. Product availability may vary. Contact us for the most current availability on this product.